Experts expect Augusta’s Georgia Cyber Innovation and Training Center to help kindle several business and economic opportunities in the Augusta metro area. Just last month, a former executive with the National Cyber Research Park told an Augusta audience that the region’s burgeoning cyber assets could blossom into a $1-billion-a-year industry. “I think this seven-county region is going to look quite different 20 years from now in terms of the types of jobs it has,” said G.B. Cazes. He is former vice president for the Cyber Innovation Center in Bossier City, La., which anchors the research park. 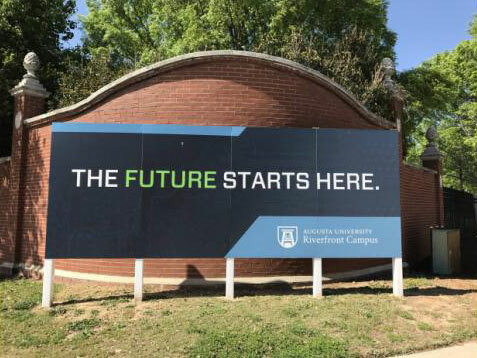 A soon-to-be-released Augusta University study looking at the area’s cyber workforce needs found that current area employers are expected to increase their cybersecurity workforce by 138 percent. That would add at least 839 positions to the agencies that responded to the AU survey. But that takes into account only mostly private businesses – and businesses that already are here. AU plans in future studies to monitor the companies and jobs that either are started in Augusta or are brought here, in part because of the attraction of the Cyber Innovation and Training Center. The Augusta area’s biggest cyber employer, by far, is Fort Gordon. According to the AU study, the fort employs 9,836 people in cyber occupations, comprising 77 percent of the cyber workforce in the Augusta-Richmond County Metropolitan Statistical Area. That includes Richmond, Columbia, Burke, Lincoln and McDuffie counties in Georgia, and Aiken and Edgefield counties in South Carolina. One local company poised to expand is Unisys, which cut the ribbon in 2016 for office space on Riverwalk Augusta. It’s the site for a Unisys service center and the base of its cybersecurity operations. Unisys Vice President Jennifer Napper has said that the information technology company is preparing to employ 700 in Augusta but has room for up to 1,200. Also, Augusta-based IT company EDTS formed a cybersecurity-specific business unit in April that is expected to employ up to 100 people within five years. EDTS Cyber LLC plans to occupy more office space in the Augusta Cyberworks campus being developed in the former Sibley Mill. EDTS becanme the anchor tenant for Augusta Cyberworks after signing a 10-year lease last year. Originally published by The Augusta Chronicle.